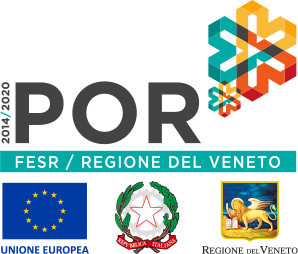 "Jonix srl - Project co-financed under Veneto POR FESR 2014-2020"
Jonix Non Termal Plasma Technologies project is part of the "Sustainable Living" smart specialization as it will have direct impact on living and in particular on improving the quality of life in residential spaces. The project’s goal is to improve a technology for air purification in both residential and work spaces currently used by Jonix S.r.l. The project meets the driver of innovation "environmental sustainability": Jonix wants to contribute to the reduction of indoor air pollution by using methods not yet explored, due to their specificity and complexity. The sanitation and purification capabilities of Jonix products have been tested and verified by certified laboratories. The tests, performed first in laboratories and then on a more reduced scale on industrial wastewater and on waste fluids, have shown that pollutants’ abatement performance varies from a minimum of 30% up to over 99%. To build its devices, Jonix uses special components, specifically designed to obtain the best results in all areas of application. The start-up consolidation project is compliant with Veneto RIS3 (Smart Specialisation strategy) and with the Regional Strategic Plan for Scientific Research and Technological Development and Innovation and aims to increase wellness within living environments and to further develop “Sustainable living” smart specialization. The project makes extensive use of innovative technologies, and in particular advanced materials and advanced production systems, which will allow the company to create and develop innovative processes. Environmental sustainability will lead to innovation. The project also will lead to the development of activities with a strong innovative and technological approach. Jonix S.r.l. currently sells air purifiers which can decontaminate and sanitize air with or without using filtration systems. This technology’s application area ranges from civil-residential, to the health-hospital and to the industrial and food sectors. The project includes a series of activities with the goal of making Jonix the reference brand for indoor air purification / decontamination systems, being them installed in air treatment machines, or stand-alone installation. Jonix wants to consolidate its position as a manufacturer of purification systems for decontamination and air sanitization, strengthening current commercial ties and establishing new relationship with chosen market targets, providing increasingly efficient air treatment systems and progressively adapting to new market trends. The COLTIV@MI project’s goal is to design and build an innovative, high-performance, remotely controlled domestic mini-greenhouse for indoor cultivation of food and ornamental plants. The greenhouse, equipped with advanced bio stimulation and sanitation technologies based on Cold Plasma and dedicated systems which keep track of plants health, will be connected to the internet thanks to the innovative industry 4.0 technologies. COLTIV@MI greenhouse fully meets the growing demands of a global consumer market which is showing increasing interest in this kind of product: over the last few decades a structural change in household food consumption occurred: personal consumption doubled over forty years, but the amount of money spent on food products remained almost stable (+ 16%). Nowadays the consumer’s purchase preferences have changed: he tends to choose fresh and pollutant-free food and harvested from sustainable cultivations. The lack of space and time, the need of advantageous climatic conditions and, above all, the lack of farming expertise, generally are the main reasons behind unsuccessful out-door self-cultivation activities which are quickly abandoned in favor of traditional purchasing channels. Considering the challenges of outdoor self-cultivation, indoor self-cultivation (indoor food gardening) is a great opportunity that the COLTIV@MI project wants to seize. The aim of LIGHTAN project is to improve the Tuscan tanning sector product quality, competitiveness on the market and reduce environmental impacts through an innovative integrated approach among all the players that manage each phase: to optimize the whole process, an analysis that evaluates the interrelations between the choices made, is conducted (which reagents for the tanning and pollutant removal technologies suit the best). • Develop an innovative technology for the removal of non-biodegradable compounds based on the use of fungal biomass grown in a reactor and later integrated in the purification chain through innovative strategies of culture and bio-enrichment.